Why did one woman spend $25K to look like Jennifer Lawrence? 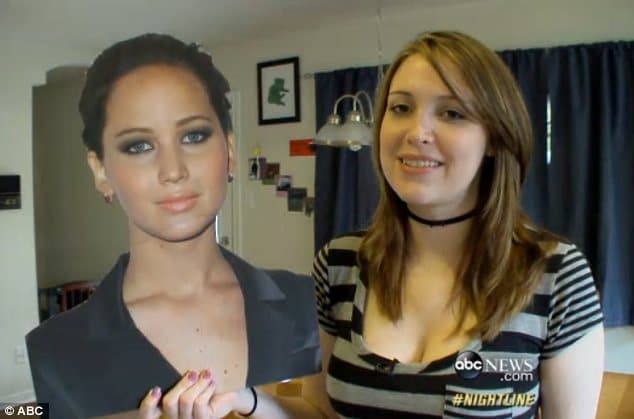 Home Scandal and Gossip Why did one woman spend $25K to look like Jennifer Lawrence? Why is Kitty so gunho about looking like Jennifer Lawrence anyway? A Texan woman by the name of ‘Kitty’ has revealed that she undergone 6 surgeries and has spent upwards of $25K to look like actress Jennifer Lawrence. Why you wonder? According to ABC’s Nightline Kitty said she appreciates Lawrence’s ‘spunky and fun’ personality and called the actress’ body ‘banging.’ Which as far as I’m concerned enough to take out my wallet/purse and re invent myself. Or is it? 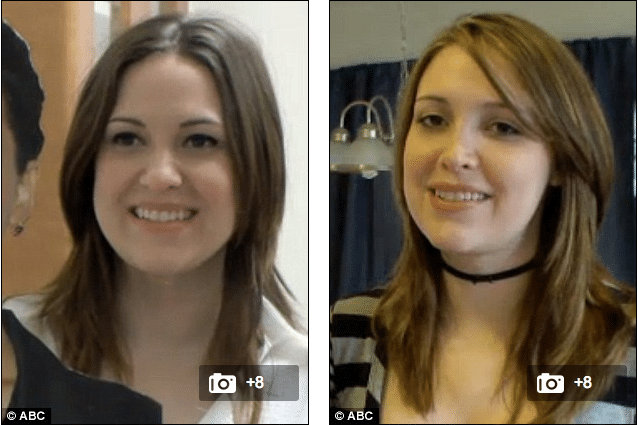 Kitty underwent $25,000 worth of surgeries — minus a discount from the doctor for appearing on television — which included liposuction to her face and body, a breast augmentation, rhinoplasty and fat grafts to her cheeks and buttocks. The entire procedure took six hours and her recovery took a several weeks. And when you look like an action hero, then one must commit to being an action hero. Pre and post operation. Can you tell the resemblance to Jennifer Lawrence now? If you are asking about Kitty’s mental well being, I wouldn’t blame you. There is something to be said about changing the way you look so you can look like someone else. It suggests low self esteem, apathy, carelessness and a religious belief if one copies and pastes they become the qualities another individual possesses. Or at least looks as if they do. But I’m not a psychiatrist. I’m just a tabloid hack resigned to throwing darts at the human condition. And what does Kitty’s surgeon, Dr Franklin Rose of Utopia Plastic Surgery in Houston think of his patient’s transformation? So Kitty is well adjusted? Or maybe she’s not? Then again why is there so much pressure in society for women to have to kill themselves to have to look a particular way anyway? Even if it’s some superhero they have a passing resemblance to? In my opinion she looked better BEFORE the surgery. Damn shame some people feel so negative about themselves.